Join us for our monthly art class for home school kiddos. 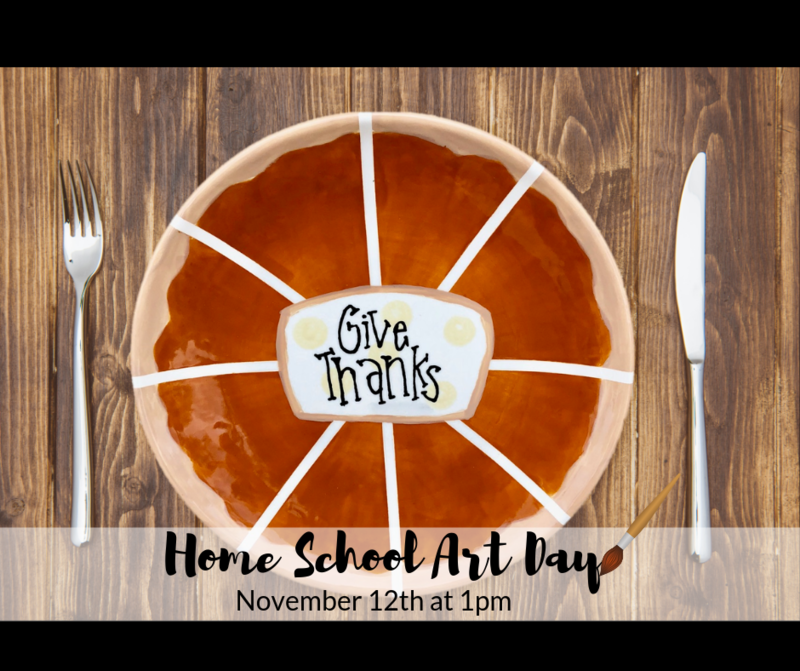 This month we will be painting Give Thanks  pumpkin pie dinner plates. No reservation necessary. Cost $14 per painter.